Hello everyone, this is going to be a long explanation on the events that occurred since February 11th 2018 (i will update it as time goes by) there will be a TL;DR at the bottom. On February 11th 2018 i bought from PIMAX’s official website (https://www.pimaxvr.com/en/shop/) a “PIMAX 4K VR& NOLO CV1” with a discount (SAS01) available for the chinese new year celebration for $387,55 USD, the payment got through PayPal express checkout instantly and i got a receipt from PIMAX VR (bob.weng@pimaxvr.com) and from PayPal stating that PIMAX had received the order and the money, within PIMAX’s email i also received my order number (Order #4998). As of March 2nd 2018 i decided to reach out to PIMAX’s forum (http://forum.pimaxvr.com/) for help after not having gotten any news nor updates on my order and being a bit worried, there i read quite a lot of posts for a while and after not seeing anything helpful related to my issue i decided to comment in one of the posts (Shipping time for new 4K), as i didn’t know how to use the website properly a moderator (http://forum.pimaxvr.com/users/Heliosurge) modified my comment adding a tag to (http://forum.pimaxvr.com/users/Pimax-Support) so they would answer, 3 days after that, on March 5th 2018 i got an answer from PIMAX SUPPORT(http://forum.pimaxvr.com/users/Pimax-Support) with some apologies and a somewhat calming message, coincidentally i also received an email from PIMAX VR (bob.weng@pimaxvr.com) stating that a note had been added to my order (Order #4998), this note just said “Tracking number: EV865261863CN”. With just this info i couldn’t track my order at all, so i reached out to the forum post i had gotten the first answer from, this time properly tagging PIMAX SUPPORT (http://forum.pimaxvr.com/users/Pimax-Support) to ask them how could i use that tracking number to track my order and getting an answer from their part on the day after (March 6th 2018). In this answer (you can read all of this on that post) they told me to email them at support@pimaxvr.com. Hello, i would like to get more information on my order. 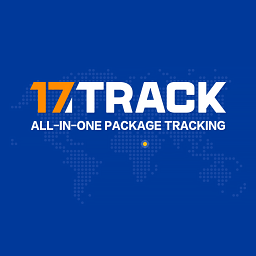 Recently you sent me a tracking number, but i don’t know where can i use it to get information about the shipping state not the estimated date of arrival. Thank you, i hope you have a nice day too. I have been checking the package tracking closely through the website you gave me to do so, but as i don’t understand chinese i have been having issues understanding what appears there as google translate isn’t very accurate. Untill now i didn’t worry too much about this, i thought i could more or less understand what it said looking at the context, but now a symbol appeared on the website and upon clicking on it, it said that there was some issue with the package. This makes me worry, and the website says i should contact you. Please, could you check this for me and help me understand what has happened so i worry a bit less? Regarding the issue that you have met, could you please provide your order informatiom such as the order number and so on. In addition, please provide the tracking number that yo have received. We will check it for you. Yes, here are the order number and tracking number. Sorry for the logistics situation about your unit. We will contact the express company and delivery the goods asap. Also, please, give me an update on this matter as soon as possible. Could you please give me an update on the matter? Sorry for the late reply, we were always trying to contact to the shipping company to check the logistics situation for you. We have change the shipping way for you. Please be patient. Ok, thank you. Is there a new tracking number or something i should be aware of? Also, sorry for getting a bit impatient about this, but i believe it is a bit understandable that someone would worry and get somwhat impatient considering the situation. Since we have just changed the logistics way for you. It may take a while to get the tracking number. Hello, i write to you again, because after more than 15 days i have had no word from you, nor gotten a tracking number, nor received my order and i am getting worried and a bit anxious. More than 50 days have passed since i made and paid for the order, and i don’t know the actual state of the order nor the shipping. 6 more days have passed since i last contacted you and you haven’t given me any kind of answer yet, which makes me feel very uneasy and upset, making it difficult for me to not distrust you since it basically feels like i have lost my money and my time, have waited long for nothing and that i am going to be unheard and not even be compensated for all the trouble. Please forward the email to me: suri.li@pimaxvr.com I will check out your case with the support team. If you have further questions/requests, please submit here: https://www.pimaxvr.com/en/support/2 so your case will be tracked in the support system. I forwarded him the chain of emails, and as of yet i still have gotten no answer, nor tracking number, nor order, nor anything other than silence. I feel very disappointed and upset. TL;DR: I bought the headset on February, it is April already and PIMAX isn’t delivering any information about why i haven’t gotten it yet nor even answering me. Added info: A friend of mine bought the same package a few days after me through the same method and coupon and it arrived for him already, he lives in a country the same distance to China than mine, so it shouldn’t be just an issue with shipping, overall considering the fact that they are not disclosing any information about my order nor delivery nor what might have happened to it. Sorry to hear this is disturbing. Recently (not sure how long) the support email was or may still be giving them problems. @xunshu Should likely be on in approx 7hrs? I will add a couple of other pimax team members. I am sure they will work on getting this sorted out. Until something like Q3 Q4 of last year(2017) they were not selling directly their site. I can appreciate the severity of this. You definitely have been very patient under the circumstances and should have some kind of resolution. If your able try to be patient a little longer. It appears that Pimax did not get around to your order until after “Chinese New Year”. The tracking info indicates the package went out on 3-5-18 but was returned to sender on 3-8-18. To not receive a new tracking number is worrisome. I will try to be a little bit more patient, but it is being pretty difficult after all this time, still, thank you very much for your help and for the information you have given. Yeah, you are right in both things, it seems as they didn’t get around to my order until the celebration was over and it is indeed pretty worrisome considering all the circumstances and the time that has passed. Hi @Neko, really sorry for the situation you have met, the truth is that your unit was returned by logistics provider for some reasons. We have discussed this issue that we would like to ship a new 4K again for you and it maybe take one week or we can get a full refund for you. We always put the customers first and please believe us that we can provide the best service for you. Hoping for your understanding and any feedback is appreciated. @Pimax-Support What do you mean, the other unit you were going to send got returned too or did you not send that unit you said you were sending? And depending on what your answer to that is, what is the issue with the shipping for that to be happening? / why did you not send it? I feel there is a big lack of communication and information from your part here and that is not appropriate, i would like to at least know what is going on and the reason why, without knowing those explanations the only thing i can do is just speculate and feel bad. This way it kinda only feels like you answered me because i made a public post about it, as you haven’t even explained why you weren’t answering the emails (only @Heliosurge has attempted to explain it as of yet, but he isn’t part of your business and has no obligation to do so, though i do appreciate his attempt i want to know the official stance on that matter). Also, considering the situation i don’t think the appropriate is to give me a refund, that way it is like if i just lent you money for free for 3 months (even if a small amount, some might argue, it is not what you would do with a business), i was dilligent paying for the product beforehand and the time i have waited and the anxiety for the events that have occurred within that time that this whole thing has given me is not something that just getting my money back would make up for, I would prefer another solution, same as i would like to have had a better experience buying your products from your site. Please, try to fix this and improve, Pimax, there is almost always a way to fix something and to improve something. I am updating this as it seems i will get ignored if i don’t make things public to the community. Pimax has still not answered my questions, nor pushed through any kind of solution. I am very disappointed with all that has happened so far, and will be making this public in other communities soon. I placed this order last week and I urgently need this shipping for use at an event. Please can you provide an delivery time and tracking code for the item? This headset is being installed at an event for the worlds most prestigious hotel chain and we need to make a custom player and test it. Its incredibly important the item is shipped tomorrow. We will happily pay more for a faster service. Sorry for the late reply. We did send the unit for you and it was returned by the logistics. Now we will provide two solutions for you. The one is that we will resend the unit for you again and if you agree, please contact our mailbox:support@pimaxvr.com to request for it. The other is that we can provide the refund for you. We are also not willing to meet this situation and we are really sorry for that. Hoping for your understanding and any feedback would be appreciated. Thank you for your support in Pimax. We have shipped the unit for you that day when you order the vr. It may take one week time. Please be advised. Have a nice day. Again, you don’t answer any of my questions. How many times have you actually sent my order? What is the issue with the shipping method? You can not just ask me to sit and wait for a packet to arrive without an answer to those questions. I chose your company and your product, i did so because i thought it was the best option available, and i have been let down, very down. You have only answered with very vague explanations if any, you have made excuses like the one about the email service failing or that you started selling through your website recently or the restructuration of the team, which i can believe and understand happening but you have not made up for any of them, letting the customer be the only one suffering the consequences of your own problems and giving no support nor justification nor even a proper apologize letter. It is not that hard to make up for any problem and to keep a customer, but you have to at least try, which, to me, the customer, it seems you have not. BTW PIMAX you are advertising in your shop the PIMAX B1A as “Total Dalay 18 ms” which i believe you intend to advertise as “Total Delay 18 ms”. Maybe you need someone to correct texts and make things more understandable to the community also as to lead to less confusion and missunderstanding. If you are going to be an international business you need translators too to reach a broader audience and native speakers/nearly native speakers so you can also offer a more suitable, quicker and understandable support, english is essential now a days, there is nothing wrong in admitting weaknesses and try to correct them, but you have to at least try to do so, maybe some of you have issues understanding certain things in english (i am not intending to insult nor to be mean to anyone) and that leads to you not being able to communicate more efficiently with your customers/possible partners. Thought i would help you a bit and give some advice to also demonstrate that people can be good willed even in difficult/bad situations and that is better to try and help others and make up for our own mistakes than to hide the trash under the carpet and do the least possible. I hope you will do what is correct. Also, i could adapt some of your texts, try to offer better descriptions and translate the texts to some other languages if you are interested in it, i would find the job welcome. Though this is unrelated to the issue that concerns us here in this post, i find it ok to say it. Note the CN on the end means its an international mail coming from china, so not a private courier’s (such as fedex or ups) tracking number. For future reference, you can put tracking numbers like this straight into google and/or the USPS website. Thank you for the advice for future references, i didn’t know that but i will try to make use of it in the future. Still, regarding to the problem with Pimax here, i still have not received my order, nor a new tracking number nor an answer to my questions from Pimax. Seemed as Pimax has not answered any of my questions, nor gone through the reshipping as promised, has not answered my emails either nor has done any other things than answer to appear nice here on the forum i have escalated the case to PayPal and offered them all the information within my hand. Wow. This would make me furious! Yes he does have good reason to be aggravated by how @Pimax-Support has(or rather hasn’t) looked after this customer issue. If anything this makes the company look very irresponsible. Dear Neko, The package was disable to delivery by our delivery agency, and the package was sent back to us, we have been trying to resent the package to you again, now we can provide full refund of your money or we could send it agian. We are so sorry about the delay delivery and the delay response to the case. Hi Warren MACKENZIE, the package was sent over at the day you placed an order, we received your note, so we made a fastest delivery process.